. 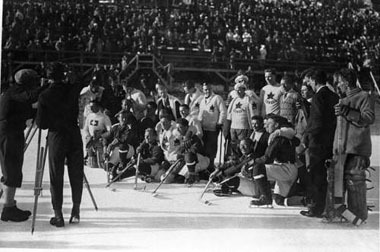 "Canada at the 1928 Olympic Winter Games". The Canadian Encyclopedia, 20 March 2018, Historica Canada. https://www.thecanadianencyclopedia.ca/en/article/canada-at-the-1928-olympic-winter-games. Accessed 23 April 2019. 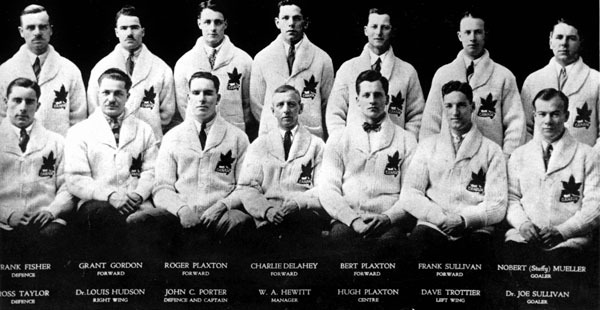 The University of Toronto Graduates, representing Canada, won the gold medal in ice hockey at the 1928 Olympic Winter Games in St. Moritz. The 1928 Olympic Winter Games in St. Moritz, Switzerland, were the first to be held in a different country from the Olympic Summer Games (which were held in Amsterdam the same year). St. Moritz, a resort town in the mountains, was ideally suited for the winter competition, with mountains for skiing, bobsleigh and skeleton, and a number of skating rinks and lakes. However, not for the last time, the Games were affected by rain and unseasonably warm weather, which ruined ski courses and melted ice rinks. The 10,000m speed skating event was cancelled, and an entire day’s events had to be postponed. A quarter of the competitors in the men’s 50 km cross-country ski race quit in frustration over a course mired in slush — the temperature had risen to 25°C by the end of the race. The 1928 Games introduced skeleton, a luge-like event in which an athlete rides a sled down the course head-first. Norwegian figure skater Sonja Henie, aged 15, was a sensation at the Games, winning gold in the women’s event, while Swedish figure skater Gillis Grafström won his third Olympic gold medal in the men’s competition. Finnish speed skater Clas Thunberg won two gold medals, adding to the three he had won at the previous Winter Games. Canadian athletes competed in figure skating, speed skating, ski jumping, cross-country skiing and Nordic combined (ski jumping and cross-country skiing), but failed to medal in any of these competitions. 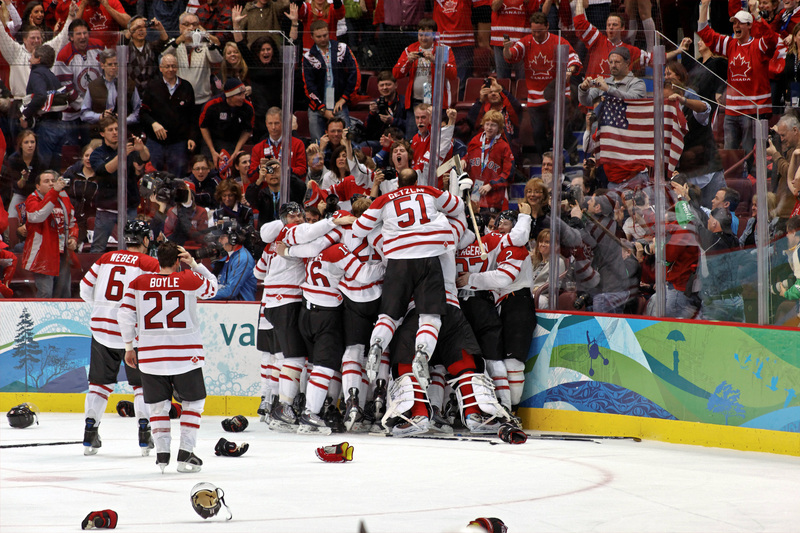 In contrast, Canada dominated the hockey tournament, as it had in 1920 and 1924. The country was represented in ice hockey by the University of Toronto Grads. 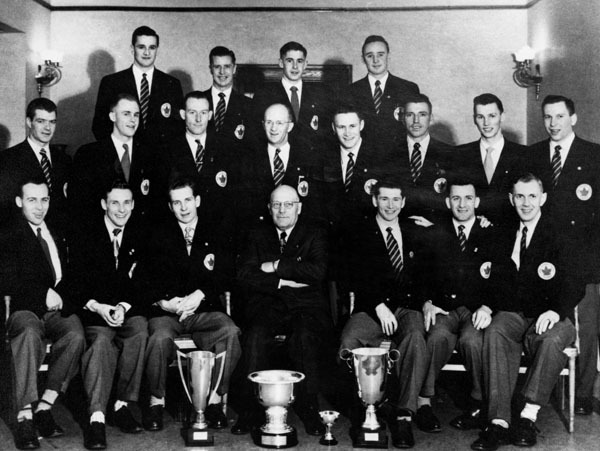 It was a formidable team, having won the Allan Cup and being coached in Canada (though not at the Olympics) by Conn Smythe. Given the strength of the Canadian team, the tournament organizers advanced Canada directly to the final round, where the Grads steamrolled the Swedes 11–0, Great Britain 14–0 and the host Swiss 13–0. After their gold medal performance, the team toured Europe, introducing large crowds to their speedy play.